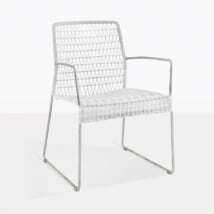 Create a sleek, light and airy outdoor dining experience with the Republic outdoor stacking dining chair. 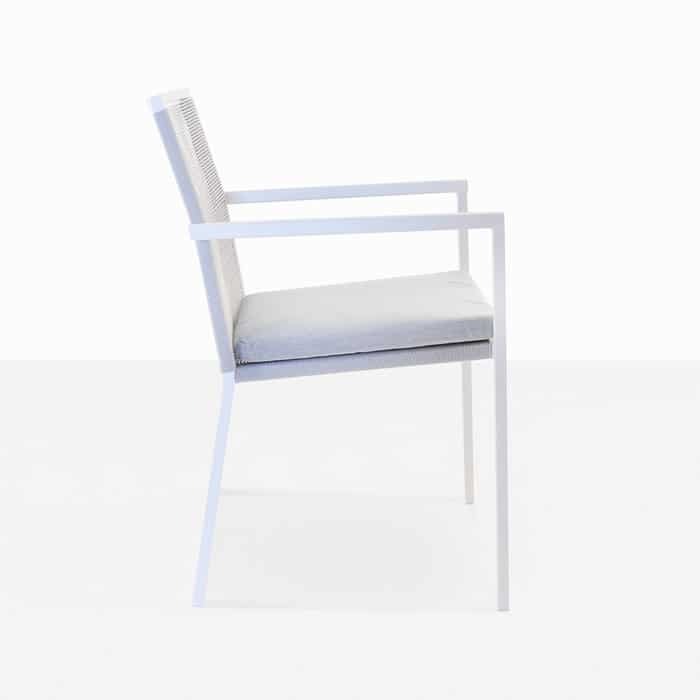 This exquisite dining chair is contemporary and sophisticated with a bright white summer vibe. 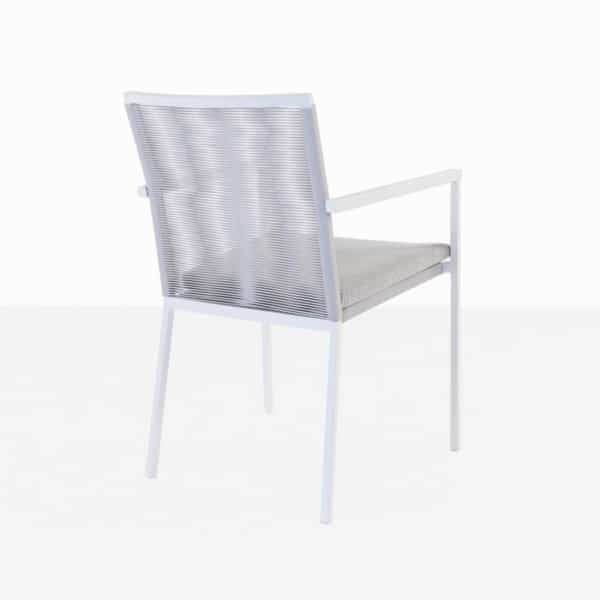 The Republic dining armchair is made with high quality materials that are meant to perform well outdoors. 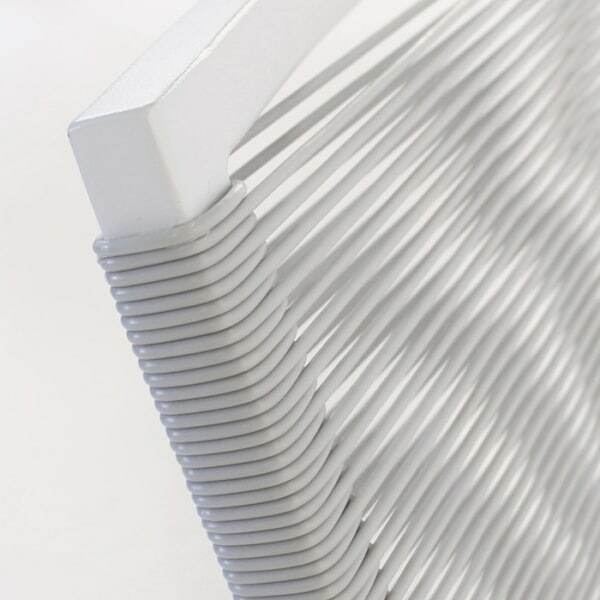 The white powder-coated frame is lightweight and easy to rearrange around your dining table. The back support is made with polypropylene wicker fibers that are woven in straight lines to create a streamlined look and provide the perfect amount of give. The Republic stacking dining chair does what it’s name implies, it stacks for easy storage when not in use. 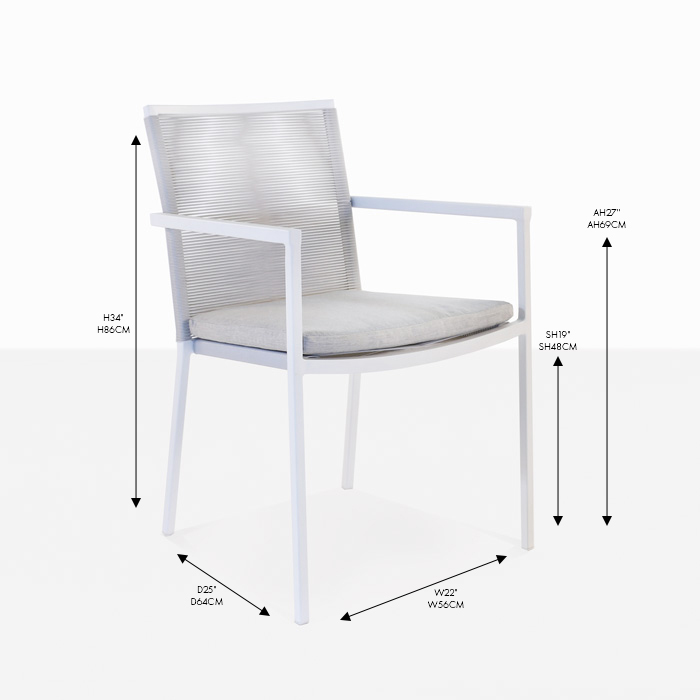 The Republic dining chair will go beautifully with many of our outdoor dining tables depending on the look you want to achieve. Pair it with a raw concrete table to create a modern dining space. 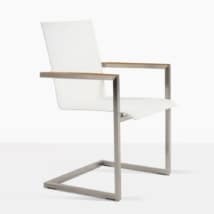 Or use it with any of our a-grade teak dining tables. 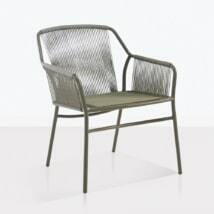 We have so many options so that you can have the outdoor dining space you desire.